Through careful listening and a collaborative process, we craft custom design solutions to the particulars of a client`s specific site and needs. We work to fully integrate building and environment, in terms of function, experience, aesthetics, and sustainability. Ultimately, our aim is to provide a sense of place and belonging, a home that powerfully connects the homeowner to the particular place in which they dwell. Recognized as a skilled housing specialist with commercial design integration, Planworx is a project partner that offers professional builders, developers, and owners a comprehensive suite of products, including custom residential, multifamily, student housing, neighborhood planning, mixed-use, light commercial, faith based, recreation, and renovation architecture. An award-winning, full service, new construction and remodeling design-build firm based in Raleigh, NC, with an emphasis on residential design and construction and environmental sustainability. 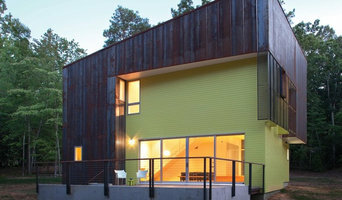 Szostak Design is an award winning architectural firm located in Chapel Hill, North Carolina. Led by principal Philip Szostak, the firm is well known for its unyielding commitment to design in a variety of project types including performing arts centers, recreational and fitness facilities, laboratories, and single family residences. In the preceding decade, the firm has garnered twelve state and regional AIA awards for design excellence. As an introduction to what we do as barn, farm and residence designers, I have to quote a statement recently written by Beth Rasin, editor of the Chronicle of the Horse in her commentary titled Horse Care In Action. “Real horsemanship comes from years of experience with horses and a constant curiosity about ways to better serve and understand each one. When combined with high performance, that level of horse care becomes an art.” We strive for that type of art in action, in the barns we build for our equine partners, and homes for their owners. In perfecting the process of listening, we apply that knowledge in built details. The process is defined by the same classical design language that respects the natural resources and character, to bring you a unique and sustainable lifestyle. The details that count, will reflect the due diligence we constantly perform to help better your horse care and life in action. I'm an architect inspired by craftsmanship. 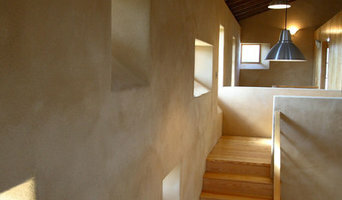 I work with clients to create building spaces filled with natural light and expressive materials. Based in Cary-Apex, North Carolina and currently serving clients from Raleigh-Durham to all edges of the state, you can connect by phone, email, or social media. Services offered, in addition to traditional design, include initial feasibility testing, consulting, and planning for special new construction and renovation projects. See <a rel="nofollow" target="_blank" href="http://SteveHallArchitecture.com">http://SteveHallArchitecture.com</a> for examples of commercial and residential work, and a background profile from thirty years of architectural, craft, and construction experience. Zipper Architecture is an architecture firm specializing in all forms of residential architecture including single family and multi-family housing in addition to small commercial architecture. Our team works directly with clients to create unique designs and continue to offer support throughout the construction process. Come talk to us about your next project, we would love to help provide you with a complete custom solution. Zipper Architecture strives to provide an architectural design process that merges client needs and desires with spaces that react to the environment and context in which they are to be built. Our process uses sketches and hand drawings in conjunction with sophisticated computer modeling and rendering software to communicate architectural concepts and designs to both clients and contractors. It is our goal to use technology not only to streamline the design process, but effectively communicate design intent to both owners and contractors. CUBE believes thoughtful design has the power to inspire people in their daily life. Their work is a balance of ideas, the building site, finance, and construction logic. Each partner holds a Master's degree from MIT and a Bachelor's from the University of Florida. 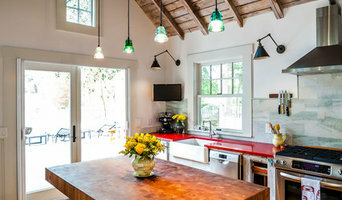 CUBE is a full service firm serving the Triangle area with experience in residential, commercial, renovations, historic preservation, and green design. If you are looking to renovate your home but don't want to get involved in all of the construction fees yet, I can help you visualize what you want to do and make it a reality! We are a group of enthusiasts who likes to think of ourselves as the perfect one-stop-shop for your design element needs. While we expand our horizon to various fields, we can create tailored information modeling for your needs, and always after getting intimate with your Insights and thought process. Coterie Consulting specializes in creating smart and efficient Building Information Modeling Services, combined with Architectural, Structural and MEP Design Element Services. We help Construction companies, general & specialty contractors, architects, engineers and building owners to seamlessly integrate BIM technology into their projects within their predefined timelines, standards and budget thereby ensuring maximum return on their investment. We as a team works globally on BIM (Building Information Modeling) & CAD for various engineering and construction sectors. We follow a well-structured design process with the highest level of quality to ensure that the project objectives are met. Let us know a convenient right time to discuss more on your requirements so that we can tailor a roadmap to deliver in the most optimized way. Custom-Designs specializing in residential remodeling, additions, and new construction.